Celebrating 55 Years In Port Moody, B.C. B.C. 's Premier Valve Re-Certification Specialist! 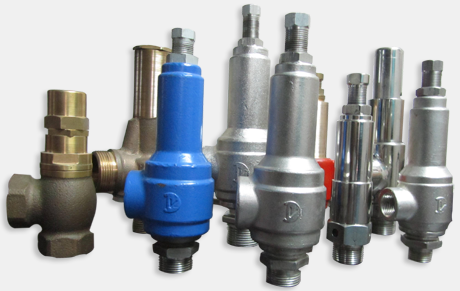 See Our Wide Selection of Safety Valves Here! Imperial Valve is a long-established company with a proud tradition of providing excellence in customer service and competitive pricing. Our professional and friendly staff are here to meet all of your safety valve needs. Our shop provides excellent servicing, testing, repair, and re-certification for a wide-range of valves. Take a look at all the manufacturers we work with. We are pleased to use the Vahn-Tech line of valves, actuators, automatic control valves, and various control accessories. Van-Tech offers an impressive line of products coupled with customer-focused support that compliments our own customer relationships.Take a look at their line of valves and download their PDF brochures. It’s the same name, yes, but this company from the Netherlands is our newest line of valves. These are small caliber, high quality instrumentation and piping valves. Their product lines include instrumentation protection solutions as well as double block and bleed valves. Take a look at their line of valves and download their PDF brochures.